The beta version of Android O Developer Preview 2 is now available for the Pixel, Pixel Xl, Nexus 5x, Nexus 6P and Nexus Player. Yesterday at Google I/O Developer conference Google released the new public beta of their upcoming OS called Android O. There is no such news about the releases of final version of Android O. But if you want to install Android O on your phone, you can install the Android O Developer Preview 2 on your Nexus and Pixel Phones. With the help of latest Android O Developer Preview 2, you can enjoy and check all the new features of Android O on your phone. Currently, the Beta Android O is available for the Nexus 5X, the Nexus 6P, the Nexus Player, the Pixel C, the Google Pixel, and the Google Pixel XL. Here in this guide we will show you how to install the latest Android O on your phone. As you know that the Android O is in beta stage and you will found some bugs on the OS. 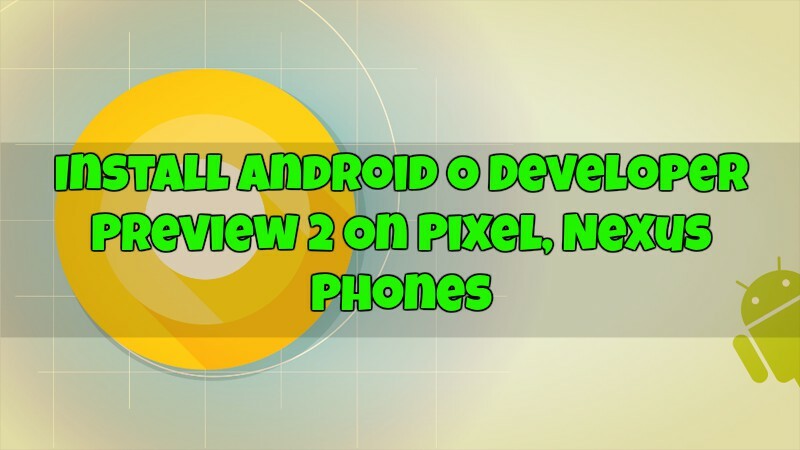 To flash this new update on your phone all you need the latest Android O Developer Preview 2 file and unlocked bootloader phone to install the same. Below is the full guide which you can follow on your device and update the same with this new version of Android O Developer Preview 2. Warning: – Note that installing Android O developer preview will delete all the data on your device, so we recommend you take a complete backup of the data on your device. 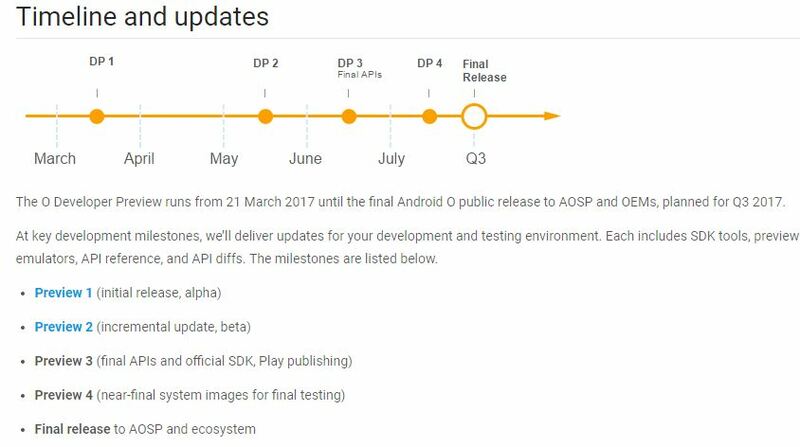 Google has posted the new release timeline on their developer site, which shows us that the final build of Android O will be released at the end of Q3 2017. Here is the Official Page of Android O Download links, from here you can download the Android O system image on your desktop and flash the same with ADB commands. Download the file for your phone and save it on your desktop. 1. To flash the Android O Developer Preview 2 system image on your phone you need to unlock the bootloader of your phone first. Check out the Guide here how to unlock bootloader on Nexus and Pixel Phones here. If you already have done that then move to the Step 2. 3. Open the ADB folder and extract the Android O Developer Preview 2 files here. The same file that you downloaded from the above mention links. 5. 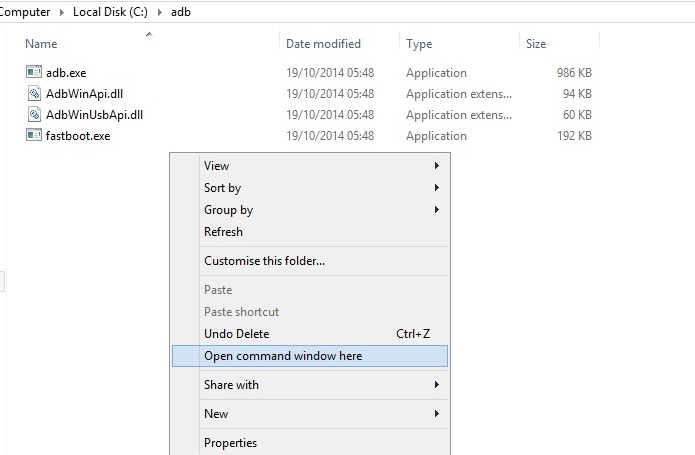 Now connect the phone to the PC and in the command prompt windows enter the following command and press enter on the keyboard. You’ll see your device in the list. 7. Now your phone will boot into the bootloader mode. 8. Now time to install the Android O on your phone. To do this Open the Android O files in the ADB folder and locate the flash-all script. Double-click on it to run it and the installation process will start on your phone. 9. After you are done flashing the Android O preview, the terminal will ask you to press any key to exit. Do not close the terminal or unplug the phone before this. 10. Reboot the phone and enjoy the developer preview of Android O.
That’s It! You successfully installed the Android O Developer Preview on your Nexus and Pixel Phone. Share your experience with us and the other readers via the comments below.